Conditions of Use Conditions of Use TERMS OF SALES PRODUCT The prices include the VAT (13% for seeds, bulbs and fertilizers and 24% for tools, etc., 6% for books) and do not include shipping. For cost orders over 60 euros in seed pods "micro-packaging" (price 2,20 E / pcs. ), Shipment by Mail (or other equivalent shipping agent) is free for destinations within Greece. For cost orders over ¤ 100 pods seed "micro-packaging" (price 2,20 E / pcs. ), Shipment by Mail (or other equivalent shipping agent) is free (for destinations within Greece) and there is an additional discount of 5% and for orders above EUR 200 the discount is 8% for destinations within Greece. On top offers and discounts do not include larger packages, large crop seeds, fertilizers, books. Returns are not accepted. Payment is made with at delivery with ELTA Greek Post, ACS courier or Geniki Tachydromiki courier for destinations within Greece. 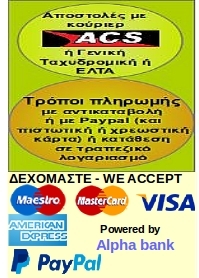 Payment is made at delivery with ACS courier for shippings to Cyprus. Payments made with a prepayment to a bank account or by credit or debit card with the Alpha Bank system and with Paypal (which accepts credit cards). Packaging seeds referred to as "micro-packaging" (sachet) (price 2.20 E / pcs.) The series for amateurs and contains a small quantity of seeds depending on variety. The price is 2,20 E. All seeds have good germination under Regulation and performance related to culture conditions and environment. BIOSPOROS of Harald Letizi, is based in Kapetan Ntogra 32, 54352 Pylea Thessaloniki, VAT number EL131168830, Tel. 2310313262, Fax 2312203731, mob. 6979221718 E-MAIL: harald@biosporos.gr - www.biosporos.gr Prices can change at any time without notice. This list cancels any previous. Goods shipped and travel at the expense and responsibility of the buyer. The photo on the packaging of the seeds is indicative of the species and not the variety indicated on the packaging. 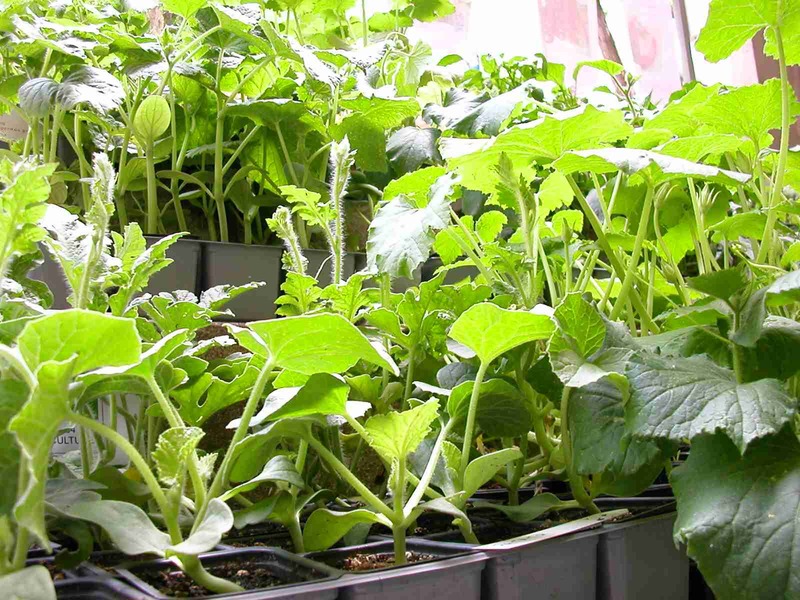 The quality and germination of seeds are excellent and in line with the EU standards No responsibility company for possible variations in the behavior of species and varieties, variations may be due to climatic conditions, the manner and time farming or cultivation techniques. In case any seed defect the liability of the company is limited to the market value of the seed or equal replacement. The orders can be canceled free of charges by the customer contacting BIOSPOROS - LETIZI HARALD CHRISTIAN by phone and email that are mentioned above , and always before the shipping of the order itself. In case of prepayment of the order by the customer, will be returned the amount . In case of cancellation of the order after the shipping, will be charged to the customer shipping and return costs. For any dispute the jurisdiction of the courts is of Thessaloniki. .